Wigan Athletic have announced the appointment of Kevin Roberts as a non-executive director. A former director of the New Zealand Rugby Union and former chairman of USA Rugby, Roberts has also served on the Board of New Zealand Football and as a Trustee for a Team New Zealand America’s Cup challenge. He is an international business leader, founder and educator, who has previously worked in senior leadership roles at Procter & Gamble, Gillette, Pepsi-Cola and Saatchi & Saatchi, one of the world’s leading creative organisations. “This is a hugely exciting appointment," said Latics executive chairman Darren Royle. "Kevin’s expertise in creative thinking, marketing and leadership will be will be hugely beneficial to all areas of our club. 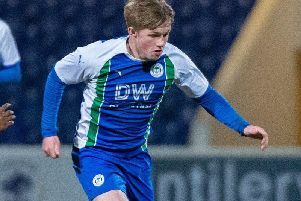 Wigan Athletic Development Squad are the champions!